SHANGHAI -- General Motors is preparing to produce a second passenger car at its joint venture with Wuling, China, industry sources say. The new model should bring GM into direct competition with Volkswagen in the contest to sell cars in China's inland cities, where incomes are lower but the market is growing most rapidly. One source says requests for quotation have already been sent out to suppliers of SAIC-GM-Wuling Automobile Co. to produce a model based on GM's compact J200 platform. The J200 is the platform for the Excelle, a model in the Buick brand's aging product portfolio and due for renewal. SAIC-GM-Wuling also produces the Chevrolet Spark mini car and China's best selling vans sold under the Wuling brand. Another source -- an executive in a supplier to SAIC-GM-Wuling -- said GM's Pan-Asia Technical Automotive Center in Shanghai will do the vehicle's styling. Wuling, meanwhile, will provide a 1.5-liter gasoline engine. The transfer will follow similar moves by Volkswagen Group China. Last year VW moved some production of its Santana from Shanghai to Nanjing. It also started production in Chengdu of its Jetta sedan, which has been made in Changchun since 1995. Sources say the brand of the new GM small car has not been determined. It would debut in two years and cost 50,000 to 60,000 yuan ($7,321 to $8,785) -- cheaper than VW's two older models. GM confirms that it is looking at producing the new car at SAIC-GM-Wuling. "There is an area of opportunity to add to the Spark, which as done well for us," says Kevin Wale, president of GM China. "We're looking at options to see if we can come up with a viable solution. We don't have anything concrete at the moment." In the same interview, Wale said GM is continuing to shift from one-size-fits-all marketing for the whole of China to geographical differentiation, intended to take into account different incomes and levels of market development. "As China's disparities in growth continue to increase there's going to be more focus on regionally targeted marketing," he said. "That may mean different advertising campaigns or promotions in different places, depending on what is relevant to the local market." 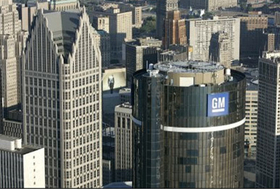 GM's shift into new China markets would be powered by adding dealerships in smaller inland cities, Wale said. The continued development of the Chevrolet brand would also be of central importance. "We think the brand is uniquely placed to be successful in China. It's affordable. It's young and energetic; just like the people now coming into the market across the country," he said.